A – Aussie: How else could I begin? Aussies come from Oz or the Land Downunder where I was born and bred. B – Blois: In the middle of the Loire Valley, where we’re in the process of buying a house built in 1584 which we’ll be renting out as self-catering holiday accommodation until the NEW ADVENTURE in my life starts in June 2014. C – Cycling: Our favourite activity from April until October in France and wherever. Next trip: Paris to London once they’ve completed the bike route for the London Olympic Games. D – Down Under: Not the Land, but the book by Bill Bryson. Full of clichés, but most of them are just so true! And a good read any time. E – Early bird: Which I’m not, but it’s the only way to beat the tourists and I hate standing in line! And that’s what siestas are for. F – Foie Gras: One of my very favourite foods and that I now know how to make. G – Garret: Where I thought I was living when I first moved to France, even though it was just a room in a third floor apartment. H – Home Exchange: Our new way of holidaying. First stop Madrid and lots of exchanges planned for Australia, some simultaneous, some not. I – iPhone: Something I’m crazy about and which can certainly make life easier on holidays. Perfect for Twitter and Facebook too. J – Jam-packed: The metro at peak hour so why not take the bus instead and be a real Parisienne? K – Kilos: The 20 I have lost and never intend to put back on! 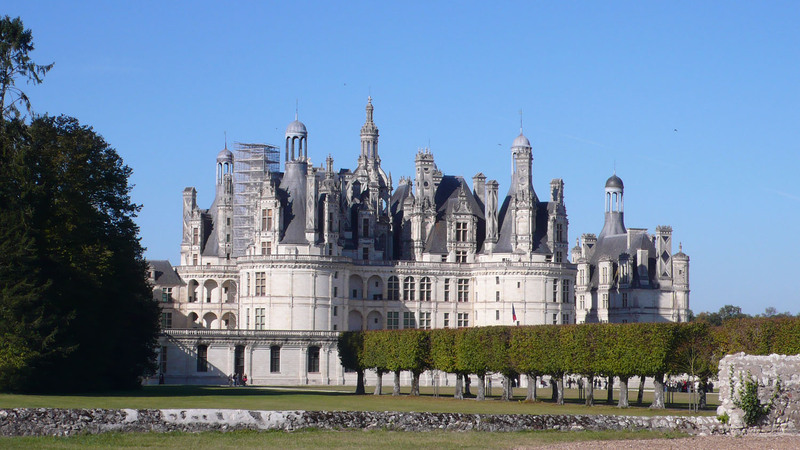 L – Loire Valley: Land of kings and queens and castles. Our future home. Less than 2 hours’ drive from Paris. 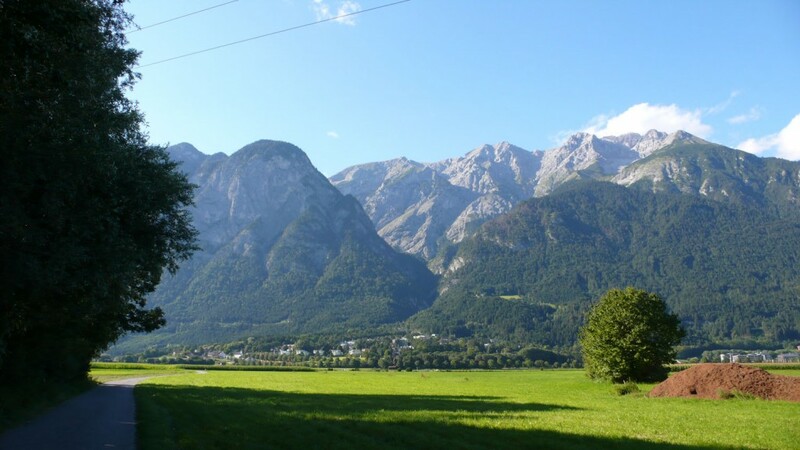 M – Mushrooms: Our second favourite activity after cycling, from April to December. But next year we’re heading for Provence in January to check out the truffle market! N – Natural skinnies: The people who don’t ever have to lose 20 kilos. O – Oysters: Another of my favourite foods, especially on Sundays – “spéciales” with fresh homemade bread and a lovely cold bottle of Sancerre. P – Palais Royal: My home for another two years and for the last seven. Right in the middle, with a view of fountain from my balcony, directly above Miss Bibi! Q – Queensland: Where I was born, in the tropics, a true-blue Banana Bender! R – Relationnel: My very French husband whom I cycle, pick mushrooms and travel with. Among other things. S – Summer time: The very best time of the year, when it’s still light at 11 pm and the days seem to go on forever. T – Tuileries Gardens: Where I power walk, lunch with friends and Relationnel, and watch the sun set over the Louvre. U – University: Where I’m still teaching translation, despite the sad lack of equipment and outdated installations. V – Vélib’: Paris’ rent-a-bike system that’s immensely popular with Parisians and great fun along the Seine on Sundays when the road’s closed to traffic. 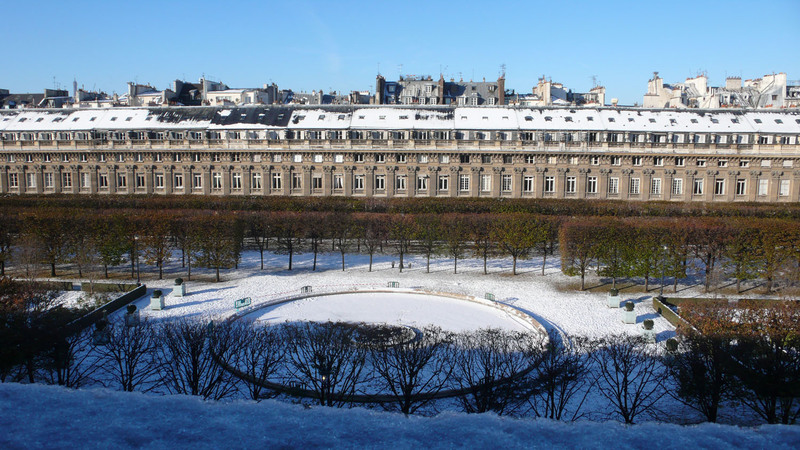 W – Wolves: To be found in the Palais Royal only when it snows. X – Xtraordinary: What everyone in Australia thinks my life is, what with living in a Royal Palace and speaking French all the time, but they don’t know how hard it really is! Y – You-tube: The very best way to learn anything these days, particularly all that new technology and how to set up a blog. Z – Ze only way most French people know how to say “th”, including Relationnel, giving them a highly recognizable accent. This entry was posted in Australia, Cycling, Food, France, French customs, Loire Valley, Paris, Wine and tagged A t Z, meme. Bookmark the permalink.